This is Rick&#039;s first experience racing in the EMC. He has two years of experience co-piloting the 2006 Jeep Wrangler Unlimited in the Dirt Riot Endurance racing series for Four Corners 4x4, contributing to multiple podium finishes and their season title in 2013. 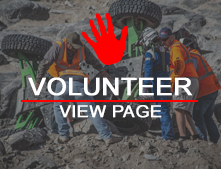 Rick has an extensive recreational four wheeling background in the Farmington, New Mexico and four corners area. His enthusiasm and hard work are greatly appreciated in this team sport.